Jeep cars are taking over the auto sales market, and industry experts are taking notice. The sales number growth is getting referred to as “freakishly well” performance. This is a pretty accurate description as the number of sales is expected to reach 1.9 million this year. Just four years ago, the sales numbers were half that. Thanks to this booming popularity, aftermarket manufacturers are catering to these new enthusiasts by providing a variety of parts for modification. So what Jeep mods are right for you? Well, that depends on what you plan to do with your car. We have some suggestions for the best mods for your next adventure. We’ve broken up our recommendations into three categories. Mods that are an overall benefit, mods that improve off-roading, and finally those that are perfect for road cruising. Some modifications improve your Jeep no matter how you plan to use it. These mods either have a dual purpose or just enhance performance overall. These are a must for anyone looking to improve both the look and performance of the Jeep. LEDs last longer, shine brighter, and use less energy compared to standard headlights. While on the street, they will light up the road efficiently. When you’re off-road, they will light up the trail. These parts are the metal rails that run along the side of your Jeep. While you’re cruising around town, they’ll act as a step to make getting in and out easier. They will do their heavy lifting out on the trails, though. Here they will help your jeep conquer obstacles without damaging its underside. We’re putting this improvement here, even though you’ll be buying different wheels and tires depending on what you intend to do. If you want to do a lot of off-roading, look for larger tires with a more pronounced tread. This will give you greater clearance and more traction. In case you’re looking for more of a street look, you’ll want to look for bigger wheels, which will give you a lower profile tire. This addition to your Jeep is affordable and yet, puts in the most work. Floor mats will keep mud and dirt from getting ground into your car’s interior. 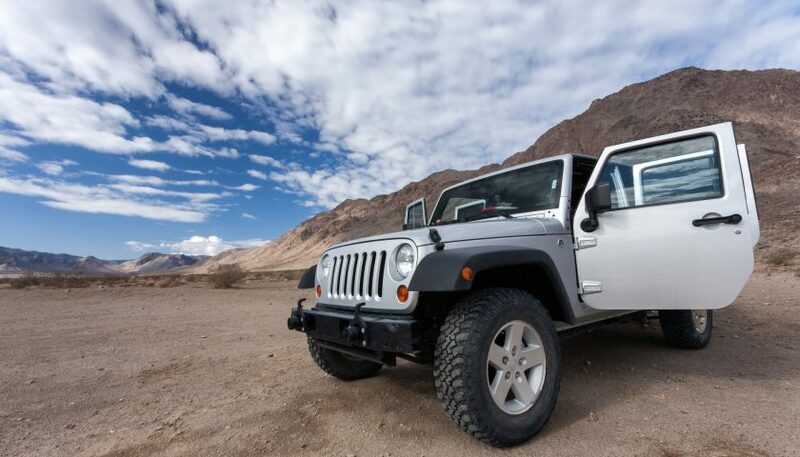 Whether you’re off-road road or on the street, your Jeep will look like new for years to come. When it comes to going on off-road adventures, you want to invest in upgrades that will make tackling natural obstacles easier. Look for mods that will give you greater clearance, more traction, or greater protection. This is one of those mods that you may not use often, but when you do, you’ll be relieved and happy you have it. A winch is a super strong cable and motor mounted on the front of your Jeep. If you or someone you are with gets stuck or flips over, the winch is your savior. Just hook the end of the cable on a secure point on the car. Then let the winch’s motor get to work. This mod is one of the first that every Jeep owner takes into consideration. If you plan to go off-roading, you need the lift kit to give your car greater clearance. The more clearance you have, the bigger the obstacles you can conquer. If you plan to do some serious off-roading deep in the wilderness, then you need lockers. These make your tires spin in the same direction. When you start feeling that your tires spin and slip, you activate your lockers. Now you’ve got the traction to get moving again. These mods may not provide you with many benefits when you go off-road, but they’ll improve your ride and comfort while cruising the street. If you use your Jeep as a commuter, this is your best investment. Give your Jeep a sleek look with a short antenna. This component is very discrete and won’t be too noticeable. Don’t worry about the size – you’ll still have the same performance. You have a ton of options when it comes to choosing a top for your Jeep. You can go with a hard top that gives your car a closed in and secure feel. It will also provide you with the greatest level of safety while on the road. Want to embrace the Jeep life and feel the fresh air? Go with a soft top. They come entirely closed in, bikini style, and mesh. If you want even less cover, go for a cargo net, windjammer, or tonneaus. These leave the top half of your jeep open, but give you a way of keeping your stuff in the Jeep while driving. These accessories won’t improve the performance of your Jeep, but they’ll give it a custom look. Decals are an affordable way to make a statement with your vehicle. When it comes the time to replace your stock air filter, skip the stock filter and go with an aftermarket higher quality model. 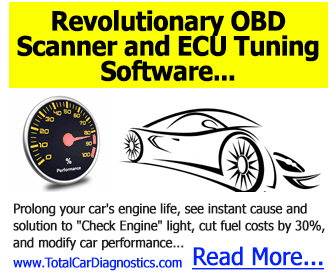 This will improve the performance of your engine by providing increased and cleaner air. To know which mods are worth the money, you need to decide how you plan to use your Jeep. If you want to own the road, then you’ll look for mods that give your car a custom look and ride. If you want to be king of the wilderness, then you need mods that are going to give you the upper hand against mud, rocks, and downed trees. Then there are some Jeep mods that pull double duty and are worth the money no matter what you plan to do. Before you start doing any work on your Jeep, make sure you have a repair manual to help guide you!